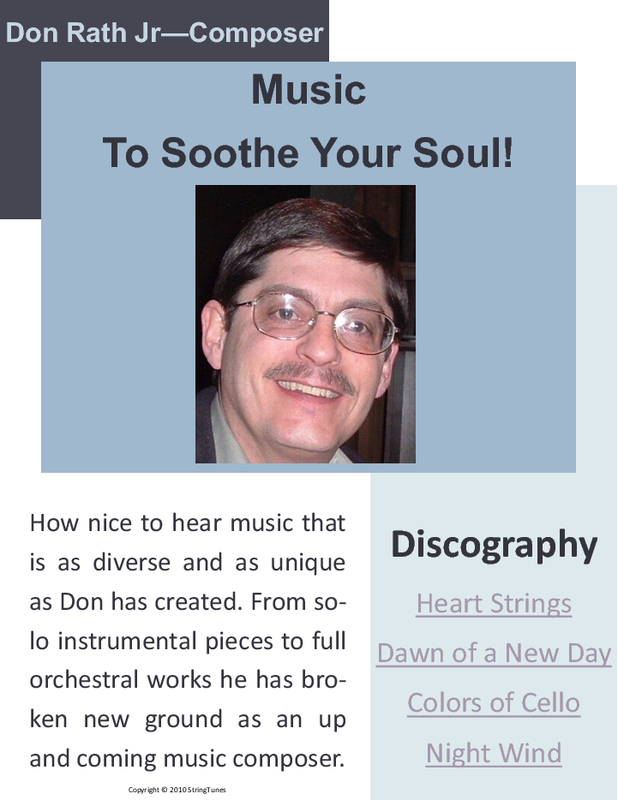 The promotional flier above was used to promote the discography of contemporary instrumental music composer Don Rath Jr and his music CD’s. For a more in depth review about Don Rath Jr, his biography, overview of his music, his CD’s and other information please use the links below to navigate to them. As an author, Don Rath Jr has penned a lengthy article series on music theory which begins with a study of acoustics and it includes many aspects of music theory and composition from the perspective of a composer. Whether you are just beginning to learn about music or if you want to review music theory concept and the principles of music theory these articles are just the right solution to advancing your understanding of these topics.Easy access to these articles can be accompished via the right sidebar listing of them or through the Music Theory and Composition Sitemap.